Vinyl records are still very popular and when you collect them, you need specific accessories. You have to keep you records clean, organized and providing the best possible sound quality. Here are five of the most important vinyl record accessories you should own. Aligning your stylus after moving or after your record player has been moved is very important. You can get an alignment tool, which makes this process very easy. If you’re a DJ or you move a lot, you should certainly add this tool to our accessory collection. Touching up your records is vital to the sound quality. If you play a dirty record, it won’t sound very good. 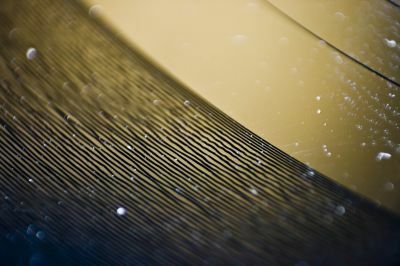 With a good static cleaning brush, you can make sure your records stay touched up before and after you play them. A record cleaning device is one of the most important vinyl record accessories. This type of cleaning system will make it much easier to handle records you haven’t played in a while or cleaning a full collection. With a spin clean record cleaning system, you will be able to keep your records clean and you will have an all-in-one-kit for cleaning all your LPs. Many record owners forget to add the inner sleeves to their collection. Adding the inner sleeves will help keep out dust and protect the record from damage. Each record should have one of these and they are so cheap, you shouldn’t skip them. You can also get outer sleeves for your vinyl records, which can help protect your records. They will keep the artwork on your album cover clean and protected. These come in multiple sizes from 7-inche to 12-inch. A storage case made specifically for vinyl records will make a huge difference. You can get a carpeted case or one of the many other choices out there. This will help protect your records from dust and many other things that can damage the actual records. Don’t choose a cheap case for your records. Make sure it’s a good case that will actually protect the record. These are just five of the many vinyl record accessories you should add to your collection. The cleaning accessories are the most important to add to your collection. These accessories will help keep your records clean and the sound quality at it’s’ best.
. Vinyl records are still very popular and when you collect them, you need specific accessories. You have to keep you records clean, organized and providing the best possible sound quality. Here are five of the most important vinyl record accessories you should own.